Cosmopolitan slim cut bikini in ultra-soft polyester elastane. 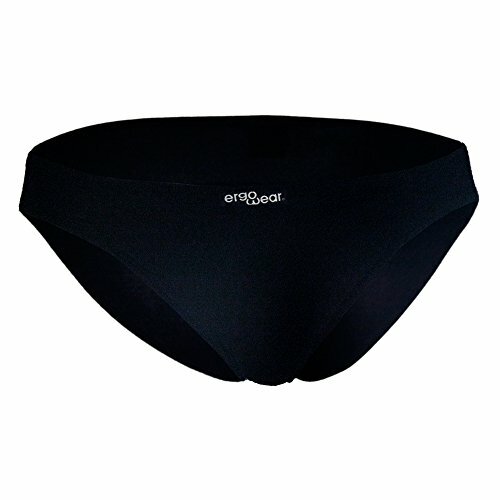 This black men's bikini features the revolutionary FEEL technology, a roomy big three-dimensional pouch with an adapting shape (please see pictures for better illustration). Another exclusive design by ErgoWear. Our team has made this male underwear bikini in hyper comfy fabrics, with no-front-seam technology and extra room in bulge area. Fully ergonomic design three-dimensional adapting pouch in new FEEL design. Cosmopolitan slim cut Bikinni Manufactured in ultra-soft 89% polyester 11% elastane. This black men's bikini features the revolutionary FEEL technology, a roomy big three-dimensional pouch with an adapting shape (please see pictures for better illustration). Another exclusive design by ErgoWear. Our team has made this male underwear bikini in hyper comfy fabrics, with no-front-seam technology and extra room in bulge area. If you have any questions about this product by ErgoWear, contact us by completing and submitting the form below. If you are looking for a specif part number, please include it with your message.